This week is the 20th anniversary of two New York City game-changers. 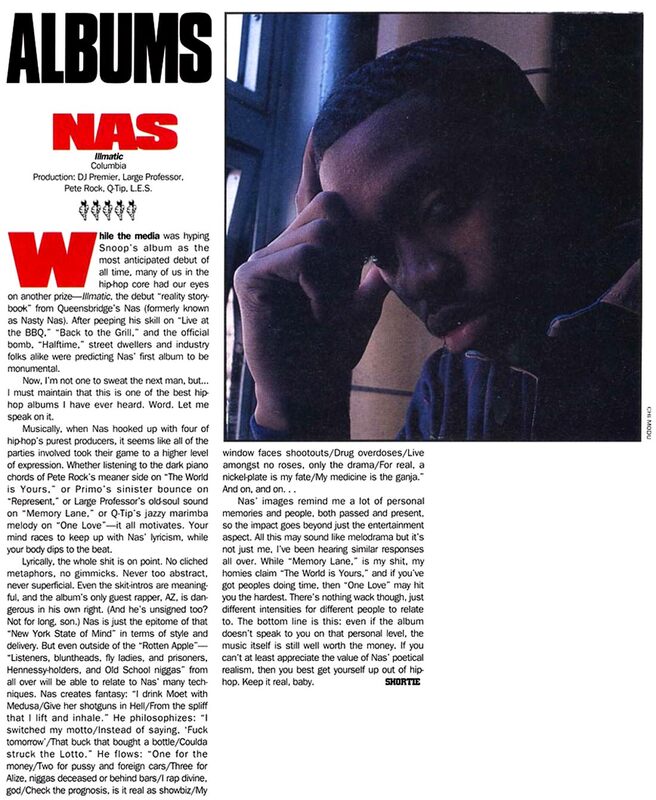 April 1994 was the month that saw both the opening of the first SUPREME skate shop on Lafayette Street as well as the release of ILLMATIC, the debut record from East Coast Renaissance king NAS. Incidentally, rumors of a collaboration between Supreme and Nas sprang up last summer after the street wear brand posted a pair of portraits of the rapper sporting its apparel, but in the meantime the label is celebrating its birthday with a set of limited edition re-releases. Two of its initial offerings – the Box Logo Tee and the Taxi Driver tee – will be made available in-store and online on April 24th, both of which will also be sold as skate decks.